By way of background, Sioo Wood Protection AB was founded in Gothenburg, Sweden in 1998 by Herje Bostrom. The company are the creators of the groundbreaking, patented SiOO:X Impregnation system that uses silicate technology. Today, SiOO:X products are in widespread use by consumers and professionals, we discover. In addition, the company’s solutions are renowned for their long life and beautiful weathered aged appearance, by world leading architects, professionals, as well as clients. With the aid of nature and innovative technology, Sioo Wood Protection AB has created a unique, environmentally friendly wood protection product that gives decks, the siding of buildings, docks and boat decks an attractive silver-grey patina. Herje Boström, CEO of Sioo Wood Protection highlights the benefits of protection systems to reduce the impact that weather has on wood. Having said this, he explains that while wood is a remarkably versatile and beautiful material, it does suffer from some problems such as weathering. 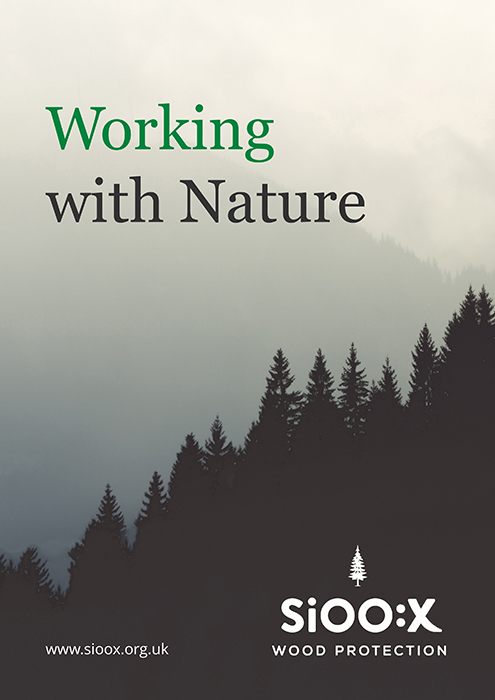 When it comes to the weathering of wood, the author reveals that this has been researched for over 100 years and while we do understand why it happens and what causes it, a solution for it has never been developed. Another challenge is that conventional wood coatings rely on adhesion to the surface for their integrity. Having said this, the Sioo:x Wood Protection System is different because it has two components, according to the author. The first (the wood protector) penetrates the wood where it gradually forms an inert glassy polymer, by reaction with atmospheric carbon dioxide. The second component (the surface protector) acts to seal and protect the first application until it is fully cured, but it also forms an inert water-resistant envelope which penetrates the wood and slowly creates a grey surface appearance. Amongst the many insights given about this extremely useful product, we find out that it works best when there is good penetration of the wood material, a point that the author develops: “Rough sawn surfaces are always preferred and planed surfaces must be sanded to break through the machining glaze.” However, the application of the product in damp and cold conditions is to be avoided because curing is slowed down and, “there is a risk that the wood protector will be leached out before curing has occurred”, Boström underlines. In conclusion, a factory-applied finish by a Sioo:x accredited treater is said to be the best option; indeed such a treatment can be applied by brushing or spraying and good penetration on to the surface is essential for the optimum performance of the product.